A while back I started researching the enormous amount of NBA minutes LeBron James has played in his decorated career. I’ll be exploring this in future work, but focusing on something different today: The 4,000 Minute Club because Dancing with Noah is interested in nothing if not interested in creating exclusive clubs for groups of large men that strut into statistical significance. The 4,000 minute club is made up of any player that has appeared in 4,000 minutes or more combined across regular season and post-season for a single year. It’s a testament to some elite level of indispensability to your team, Cal Ripken-ish durability, and team success. The 4k club is unique in that it’s possibly nearing extinction as you’ll see through the numbers below. While NBA Finals participants have the opportunity to appear in more total games than their NBA forebears due to playoff series expansion, things like sports science or common sense have resulted in minute reduction. A good, but isolated example of this is last year’s MVP Stephen Curry appearing in an MVP record-low 32.7 minutes/game. Golden State’s a unique example in that they’re able to blow out opponents without big minutes required of their top dog, but last season’s league leader in minutes played was James Harden who appeared in less than 3,000 minutes for the regular season – the fewest minutes played in a non-lockout season since 1958-59 when the NBA only played 72 games. These are microcosms of the broader downtrend in minutes played. 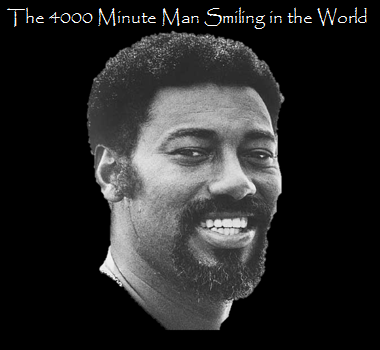 The 4k threshold has been surpassed 55 times in NBA/ABA history with 36 of those seasons occurring in the pre-modern period when Wilt Chamberlain and Bill Russell stalked North America feasting on the blood and bones of knobby-kneed opponents. The top-10 of most combined regular and playoff minutes all occurred between 1961-62 and 1973-74 when pros wore low-top Chuck Taylor’s, shorts that would make John Stockton blush, and didn’t yet have the perks of chartered air travel or modern exercise science. The list below is made up of Wilt and Kareem, then four guys from the ABA which had an 84-game season. Regardless of how it’s explained or rationalized, it’s difficult to wrap your head around Wilt the Stilt playing 48.5 minutes/game over the course of a 92-game season. He appeared in more than the available regulation minutes not for a game, a week, or a month, but an entire damn season. These super charged numbers are incomprehensible in the way Babe Ruth’s hitting and pitching stats are impossible, in the way Cy Young won over 500 games and threw nearly 750 complete games. They are so far beyond any current comprehension that they’re not comparable to the modern, post-Wilt game. 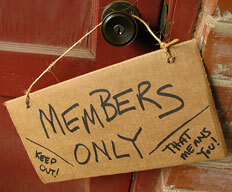 Instead, the modern breakout exists in a world closer to current standards of sanity and tolerability. Successful teams like the Spurs and Warriors have readjusted what is and isn’t acceptable with NBA player workloads while coaches like Tom Thibodeau are regularly admonished for throwing big minutes at players that who hobble on future arthritic joints. The modern list is different and while it’s likely less of an achievement, it still speaks to something of the implicit meaning of the US Postal Service’s “rain, sleet or snow” motto that American’s love and cherish so much: We work hard. 18 players appear 19 times on the list of modern guys who have surpassed the 4k limit. They range in age from 22 to 34, in total games from 94 to 107, from MVPs to a lanky, lean Tayshaun Prince. 14 of the 19 occurrences made Finals appearances and every player on the list appeared in more than 40 minutes/game in the playoffs. Enough with demographics, take my hand and let’s explore this wonderful numerical forest. The table above is sorted by total minutes and right at the top of this who’s who of NBA MVPs is “Thunder” Dan Majerle. Not exactly the two guard I would’ve expected to see at the top of the list, but when the Suns made the Finals in 1993, Majerle was an indispensable spoke. He appeared in all 106 games for Phoenix with 33.5% of his total 4,270 minutes played coming in the playoffs. His playoff MPG (44.6) represent the highest lift over regular season MPG with an increase of 5.6 minutes capped off by a 28-point performance on 6-8 from three in a 59-minute triple OT game in the Finals. Only one player made this list without even advancing to the conference finals. Back in 2002-03, Allen Iverson appeared in all 94 of Philadelphia’s games, averaging a whopping 43 MPG. I don’t think anyone questions Iverson’s toughness, but for a player who weighed under 170lbs and averaged nine free throw attempts/game to play 43 minutes every night for 94 games is remarkable. Worth noting: The following season Iverson appeared in just 48 games. Michael Jordan is the oldest player to reach 4k minutes and the only player in the modern era with two 4k seasons to his name. We’ll focus on his age-34 season when he appeared in 103 games averaging 39.3 MPG. While lacking the nightly minute madness of Iverson’s 2003 or Majerle’s beastly playoff run of 1993, MJ carried a massive load for 1998 Bulls. Scottie Pippen spent the season fighting injuries and the Bulls front office over contract issues and the result was a 34-year-old Jordan leading the league in usage while appearing in the most total minutes of his career. The combination of shouldering the load for this Bulls team and navigating the front office shenanigans of GM Jerry “Crumbs” Krause no doubt added to MJ’s decision to hang up the high tops following 1998. We’ll wrap up the player-level analysis with the youngest guy on the list and the one who originally led me on this 4,000-minute quest: 22-year-old LeBron James in 2007. He was probably a year ahead of schedule carrying a team that just wasn’t that good all the way to the Finals. Playing 40 minutes/night in the regular season and nearly 45/night in the playoffs was the only way this team could compete and it wore down the young LeBron. After exceeding 55% true shooting in the regular season, he dipped below 52% for the playoffs. The glut of minutes coupled with an average team and more creative defensive looks in the playoffs sucked the life out of Bron’s 2007. It’s telling that there’s only a single point guard (Gary Payton) on the list above. And with James so frequently playing that ball handling/offense-initiating role, it’s fair to wonder if that and a dose of Spursian common sense have resulted in just one 4k season for him. The last time we saw a player cross the 4k barrier was 2008 with a 29-year-old Kobe Bryant. Given the aforementioned stats about Steph Curry and Harden last year coupled with theories that players are more susceptible to injury due to a multitude of factors (sleep deprivation, poorer diets, playing tons of basketball at younger ages, and poor weight training habits) and advances in sports medicine and biometric testing point to what should be a smarter, more cautious approach to managing player health and minutes, aka assets and investments. Though one could make the counter argument that advances in science may reveal new and better ways for athletes to protect their bodies and thus play even more minutes. The future is a damn abyss to which we’re all inevitably hurtling and nothing should be a surprise. But if teams follow the lead of two of our league’s most successful franchises, then we’ll no doubt see minutes trend downward and friends of the 4k club remaining a tidy, fraternal group of 17 (RIP, Moses Malone). Dan Majerle was a 6’6” shooting guard with model good looks, a square jaw, a full head of brown hair, and a tan of Hasselhoffian proportions. “Thunder Dan” as he was known bombed threes before it became en vogue. In that sense, one could say he was ahead of his time. Sandwiched between a career spent in sunny Phoenix and on the sandy beaches of Miami was an out of context year in Cleveland which signaled the onset of his deterioration in which he possibly could’ve been referred to as “Cloudy Dan” by someone with a poor sense of humor. Majerle will forever be remembered for his role on the Barkley-led Suns teams and for being an object of the great Michael Jordan’s disdain in the 1993 Finals. A three-time all-star, Majerle could oddly be considered a beiger, more pleasant version of Arron Afflalo or even a darker, more muscularly violent (in play only) version of Brent Barry. In the commercial below, “Thunder Dan” can be heard asking for a stat that quantifies hustle (again, ahead of his time). While this may have been one of his calling cards, it’s not one with which I’m deeply familiar. If someone was bored, they could easily sub in Shane Battier footage with Majerle’s commentary.